The Autodesk Gallery at One Market in San Francisco celebrates design — the process of taking a great idea and turning it into a reality. With about 60 different exhibits regularly on display that showcase the innovative work of Autodesk customers, the gallery illustrates the role technology plays in great design and engineering. I am one of about 80 gallery ambassadors. 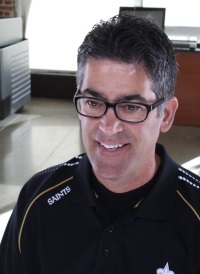 We conduct guided tours for customers, students, and the general public. 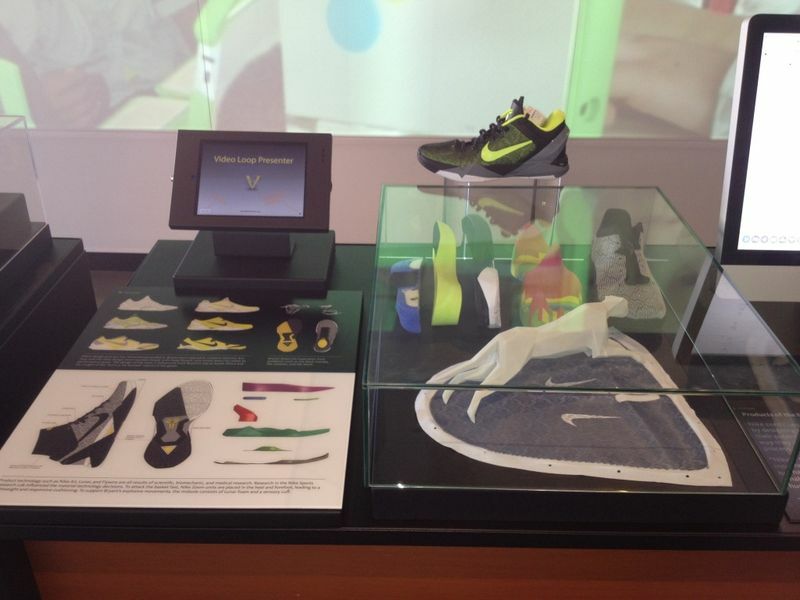 One of the exhibits showcases some of Nike's work by presenting the past, present, and future of product design. Nike - RUN FOREVER. YOUR WAY. Autodesk - IMAGINE, DESIGN, and CREATE a better world. 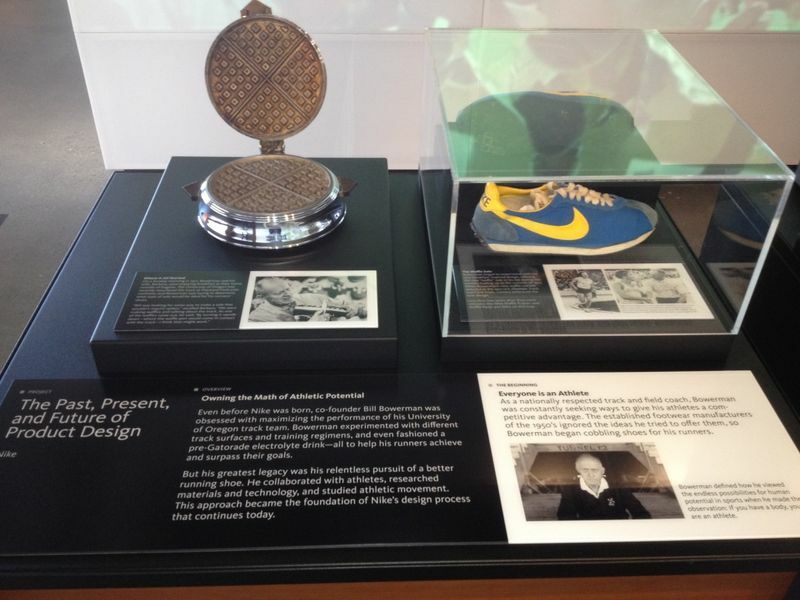 While a University of Oregon track coach, Nike cofounder, Bill Bowerman, created a running shoe whose tread pattern was inspired by the shape of his waffle breakfast. When established shoe manufacturers ignored his suggestions to provide runners with an advantage, he cobbled together his own shoe. The waffle-inspired shoe was a success at the 1972 Olympic games. Nike works with high profile athletes to translate needs into performance requirements which in turn map to components of athletic shoes. In the case of NBA star, Kobe Bryant, his trip to South Africa and a "hunt or be hunted" mentality inspired movement like a cheetah. Nike developed a shoe to specifically meet his needs and all who aspire to move as he moves. At Nike, everyone is an athlete. In partnership with Autodesk, Nike Sports Research Lab studies how bodies work and what stimulates performance. 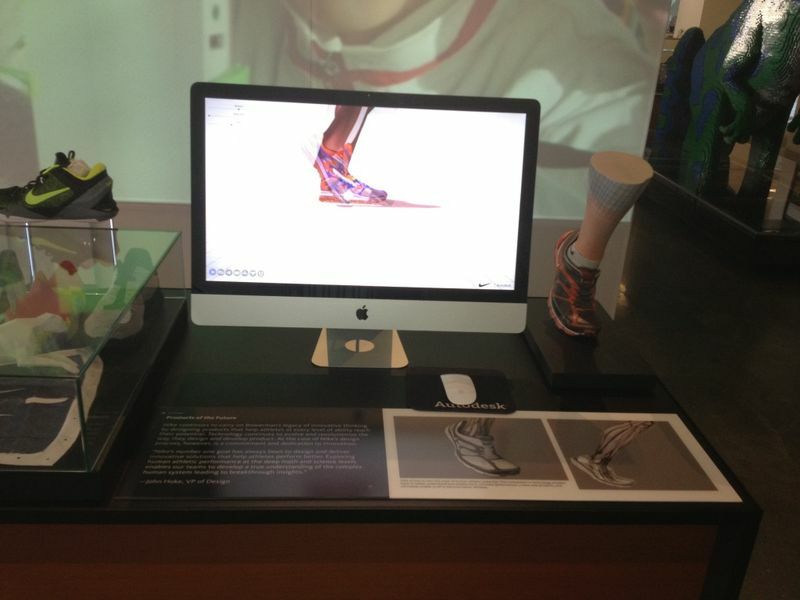 Nike uses 3D models and 3D visualization software to evaluate arithmetic factors associated with their designs. Nike's approach is based on studying human athletic performance at the deep math and science levels. To show that I can walk the walk in addition to talking the talk, I got some Nike shoes the other day. Since I work at Autodesk and live in Crown Harbor, I personalized them as part of the ordering process. The Autodesk Gallery in San Francisco is open to the public on Mondays, Wednesdays, and Fridays from 10:00 am to 5:00 pm. There is a guided tour on Wednesdays at 12:30 pm. Admission is free. Visit us. The breakfast of performance is alive in the lab.